The refurbishment and upgrade of No 1 Hyde Park Street, a highly desirable address in a prime London location, has been completed. Childs+Sulzmann Architects were commissioned to refurbish and upgrade the building which comprises 13 apartments overlooking Hyde Park in London. The purchase of the freehold from the Church Commissioners in 2015 gave the apartment owners the opportunity to upgrade the whole building. The property has been completely transformed from the ground up with a new roof, redecoration of all the common areas and a new porter’s flat. 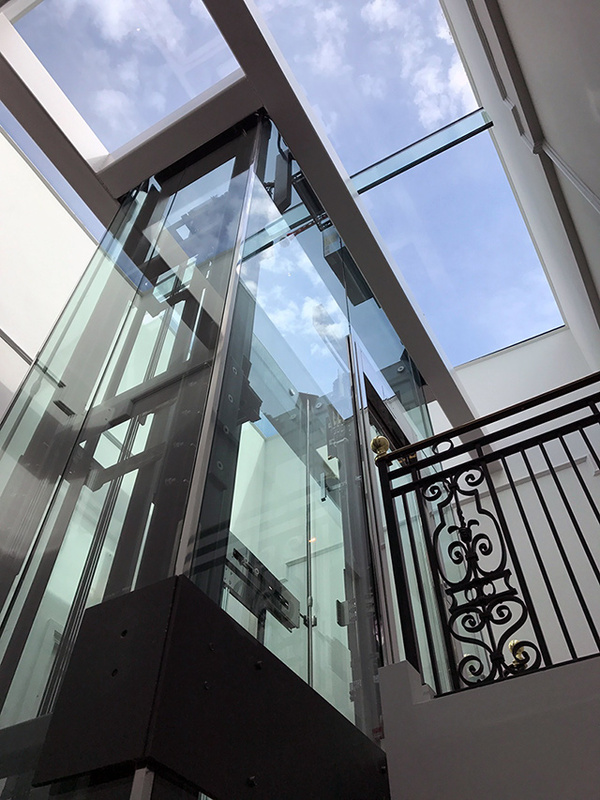 As well as marble floors and chandeliers, the most exciting intervention is the glass lift in a glass shaft up through the middle of the building. This has been a very challenging piece of engineering that has taken over two years of detailed design to achieve, but now everything is in place. This installation pushes the boundaries of what is possible in this context. The whole of the glass structure is suspended on four 25mm stainless steel rods from a steel frame at the top of the lift shaft. “Adapting these wonderful old buildings to meet the demands of the high-end market presents some interesting challenges but we are delighted with the results.” comments Matt Parsons, Design Director, Childs+Sulzmann.